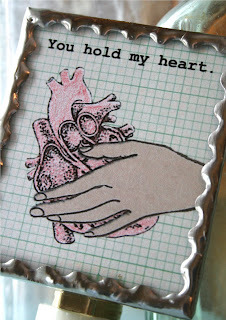 Objects Of Affection: You hold my heart. I created this light from a collage I created on my computer and then printed the image on my HP printer. 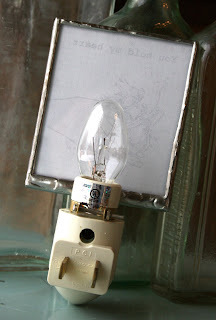 The image is encased between two pieces of glass (3" X 2.5") and then soldered (with a lead free solder). This sweet light looks really cute when lit up. Very cool! I wish I knew how to solder. 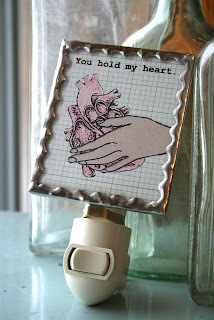 thanks for your comments...linda you could learn how to solder...it is really easy. i taught myself! What an absolutely fantastic idea!! 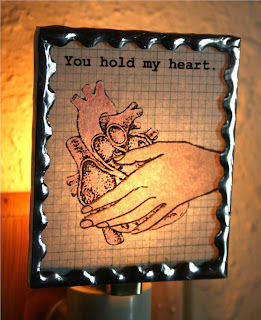 so very artistic of you.